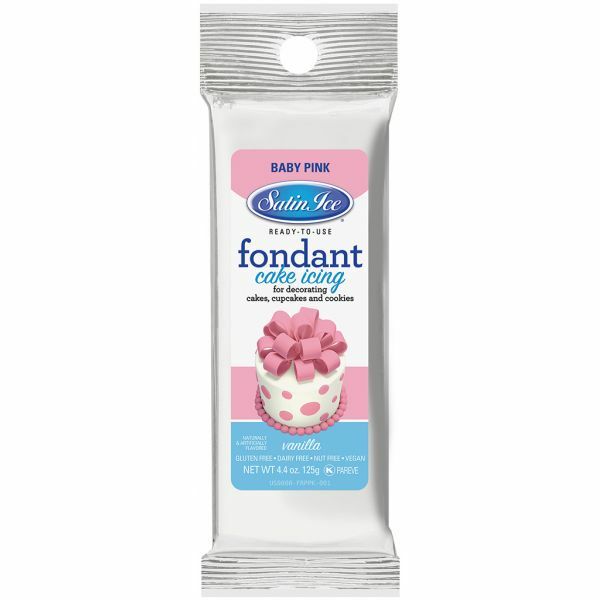 Satin Ice Packaged Fondant 4oz - Fondant is perfect for decorating cakes, cupcakes and cookies. 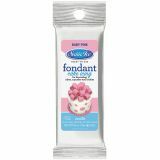 Satin Ice fondant is vegan, gluten free, nut free, dairy free, trans fat free and Kosher. Satin Ice saves you prep time and allows you to get right to decorating without sacrificing taste or quality. This package contains 4oz of fondant. Comes in a variety of colors. Each sold separately. Made in USA.